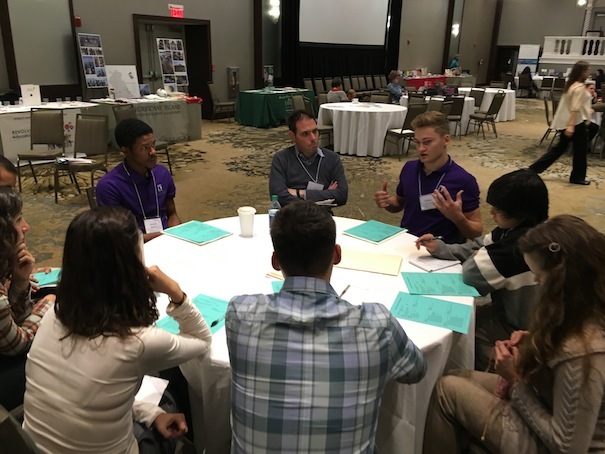 Earlier this month, the Coalition of Essential Schools (CES) – a national organization that works to create and sustain equitable, intellectually vibrant, personalized schools and to make such schools the norm of American public education — held an extraordinary national gathering in Providence, R.I., where its work first began back in 1984. 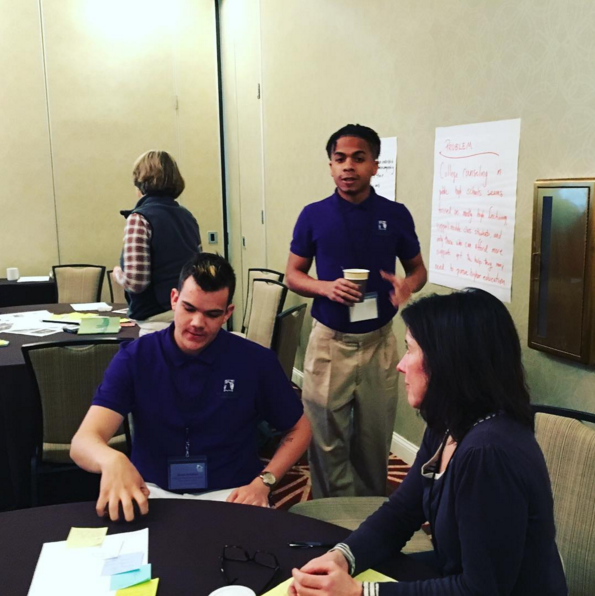 Called Fall Forum 2016, this most recent event featured a gathering of educators and progressive education advocates skilled at — and committed to — student-focused, teacher-led, equitable, and challenging learning. During the Dec. 1-3 event, participants reflected on the work of the Coalition of Essential Schools, the contributions of CES Founder Ted Sizer and generations of CES educators, the inheritors and sustainers of CES’s work, and the future of schools led by the passions of students and teachers. Eagle Rockers in attendance included Jeff Liddle, Head of School; Dan Condon, Associate Director of Professional Development; Sarah Bertucci, Professional Development Center Associate; and Eagle Rock students Nigel Taylor and Soren Arvidson. The Coalition of Essential Schools (CES) Fall Forum was held last month at Mission High School in San Francisco, and Eagle Rock was well represented with a total of eight staff members and two students attending this annual event. The theme of this year’s three-day forum was the 30-year Celebration of Common Principles and Uncommon Schools. CES remains at the forefront of creating and sustaining personalized, equitable and intellectually challenging schools. Essential schools are those where all students have the chance to reach their fullest potential. With a focus on the ten common principles, CES works with educators to support and promote innovative and effective teaching and learning. The first day of the forum saw our six Professional Development Center team members co-hosting a school visit at MetWest High School, a Big Picture school that we support. MetWest is one of the first “new small autonomous schools” in Oakland, Calif., designed to foster student success through experiential learning and an extensive internship program. Educators from Southern California and Ohio joined us on the visit and we had the opportunity to sit in on student exhibition presentations. Afterward, we facilitated a two-hour CES Affiliate Center directors meeting where we reconnected with other CES centers and shared what we face at our own locations. Later we broke up into small groups to discuss potential improvements. In addition, a pair of our Eagle Rock students participated in a student leadership forum held at the Boys and Girls Club in the Mission District, where they met with 20 students from around the country for a discussion about, “What can students teach their teachers about what works when they are teaching them?” Meanwhile, two Eagle Rock School staff members participated at other school visits at Arise High School in Oakland, Calif., and Oceana High School in Pacifica, Calif.